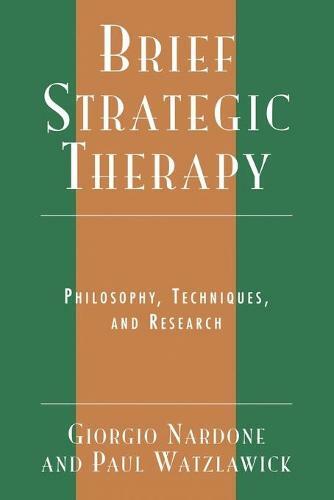 This book provides the most comprehensive explanation of brief strategic therapy techniques and reveals how apparently simple techniques can solve complex, seemingly untreatable problems. The authors offer in-depth case studies and a thorough evaluation of the results obtained from their empirical research. Brief Strategic Therapy will be an invaluable resource to anyone interested in solving complicated problems by simple strategies.